Lot Size: 4000sq. 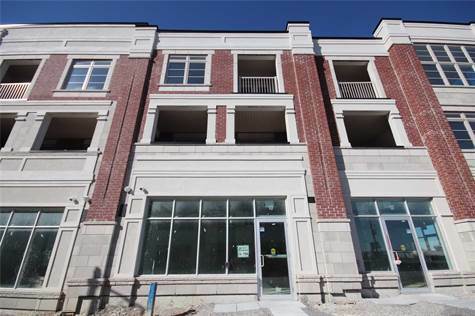 ft. 24.61ft x 86.42ft "24.61 ft X 86.42 ft"
For Sale Is A 4000Sf Work/Live 3 Separate Unit Freehold Townhouse In Markham! No Maintnc Fees! Perfect For Multi Family Living, Business Owners, Or Investors! Located In A Developed Community In Between 2 Large Plazas! One With Longo's, Banks, Restaurants, Etc & One With Walmart! 3X Sep. Entrances! 804Sf Flex Commercial Unit! 2 Large 2 Bed 2 Bath Townhouse Units On 2nd & 3rd Floors! Suite 1 - 1533Sf With 2 Terraces. Suite 2 - 1663Sf With 1 Terrace, 1 Balc. ▪ Area Influences: Major Highway, Public Transit ▪ Possibility To Meter Sep Gas & Hydro. May Be Possible To Add Doorways To Access Both Townhouse Units & Create Approx. 3200 Sqft 4Bed 6 Bath Town. Comm Uses Incld: Fin Institution, Repair Shop, Medical Office, Restaurant, Retail, & School.